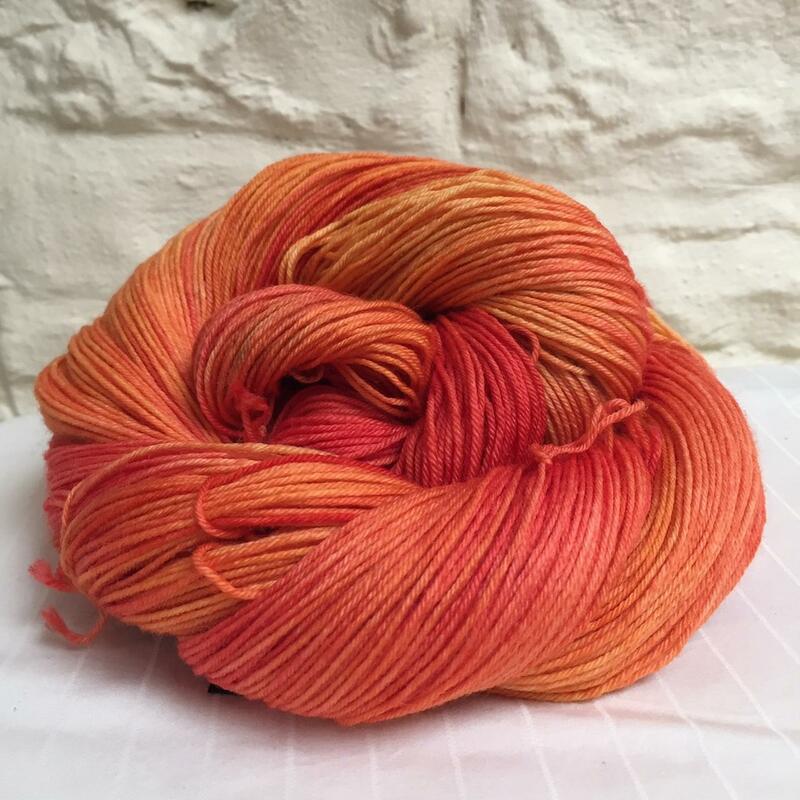 Just up the road from me is the village of Eyam – often referred to as The Plague Village due to how it handled The Black Death back in the 1600’s. 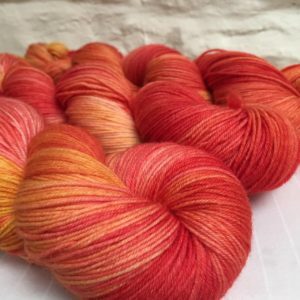 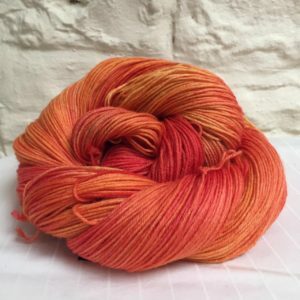 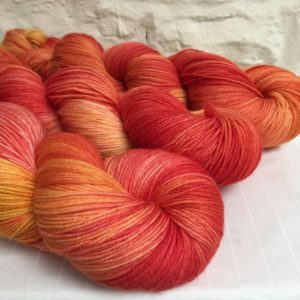 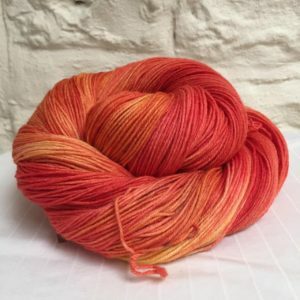 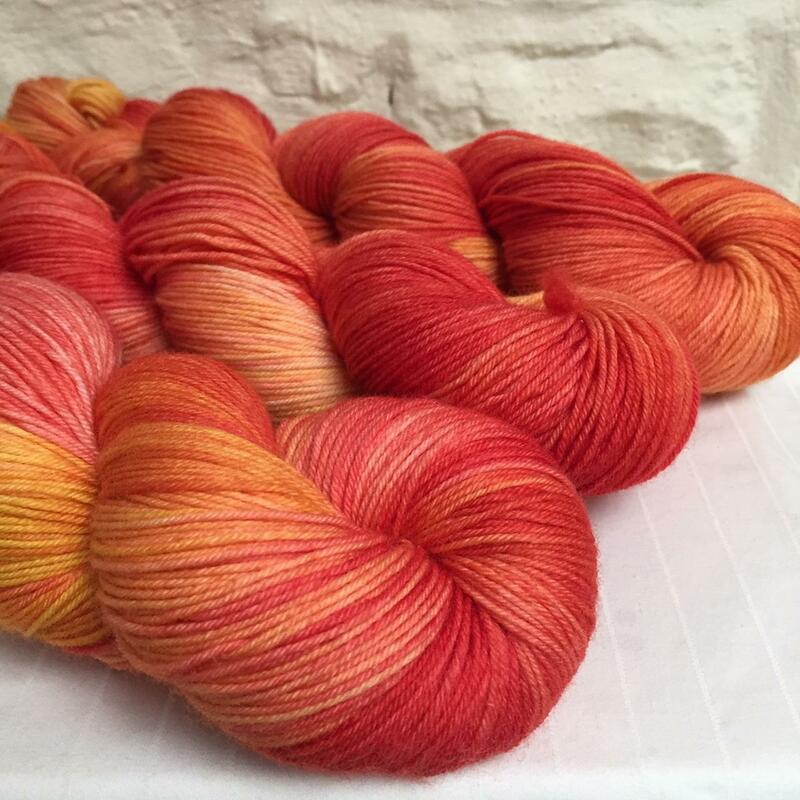 Shades of red and yellow swoosh around to create mostly orange on this super-soft merino 4-ply high yarn with 25% nylon for added strength. 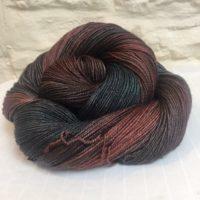 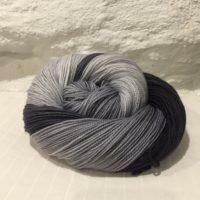 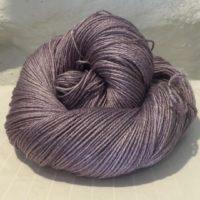 It is a perfect yarn for socks or a one-skein shawl.